In his 1999 essay Celluloid Vs. Digital, Roger Ebert cites studies equating the experience of watching a movie to entering a fugue state: “film creates reverie, video creates hypnosis.” In other words, experiencing a film in the traditional manner, projected at 24 frames per second in a darkened theater, affects the brain in a way akin to dreaming. 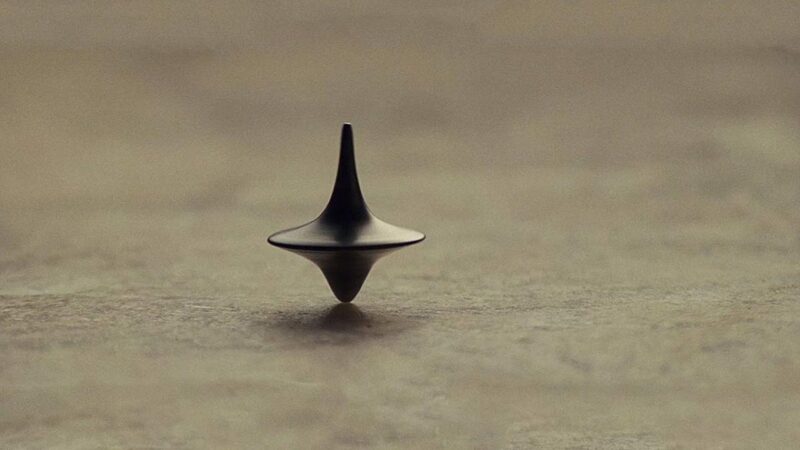 Inception is far from the first movie set in dreams, but it may be alone in attempting to encode the experience into the architecture of a film itself. Whether you compare it to onion skins or a puzzlebox, the form follows the content. The bar has been set very low by the likes of Avatar, but Inception is finally proof that movies with budgets in the hundreds of millions need not be moronic and disposable. Yes, Inception is a sci-fi action movie full of well-tailored outlaws, guns, fight sequences, and exploding mountain fortresses, but it’s also an intelligent, complex experience for adults. If it took a weak remake and two movies about a vigilante in a rubber bat costume for Nolan to get here, then so be it. Inception is the natural progression from Following, Memento, and The Prestige, Christopher Nolan’s quartet of wholly original visions. Insomnia, a safe remake of the far more incendiary Norwegian original, now seems like a detour, a paying of dues to enter the mainstream. His pair of Batman franchise entries injected a modicum of psychological realism into the pulp source material, but the grimly ponderous weight of it all was perhaps more than it could bear. For my money, nobody other than Tim Burton has managed to find the right mixture of camp and solemnity that makes up Batman. While Inception may have some surface resemblance to numerous heist, caper, long con, action, and science fiction films, it is nevertheless a very welcome New Thing. Its deepest thematic links are probably to cerebral sci-fi meditations Solaris and Until the End of the World. The nightmare planet in Andrei Tarkovsky’s Solaris haunted visitors with imperfect reincarnations of their most emotionally significant others. When a grieving astronaut is reunited with his ersatz wife, long dead of suicide, is it a blessing or a curse? Wim Wenders’ Until the End of the World posits a future in which dream-reading technology would be enormously addictive, psychologically damaging, and permanently alter society. If a technology is ever invented for a group of people to not only enter an individual’s dreams but also to construct the dreamworld itself, how plausible it is that society would not be radically transformed? In Inception, Dom Cobb (Leonardo DiCaprio) is a master at corporate espionage. His expertise is with a process normally utilized for the “extraction” of trade secrets, but inverted to inception: to implant an idea, a task which proves to hold massive significance to Cobb. Like a drug, we’re told, these machines gradually seep away users’ ability to dream on his or her own. We glimpse a sort of opium den in which burned-out dream junkies go to re-experience the normality of not only dreaming, but more importantly, waking up from dreams. Wenders’ The End of Violence would similarly look at another dystopian future in which global surveillance is taken to its logical extreme. 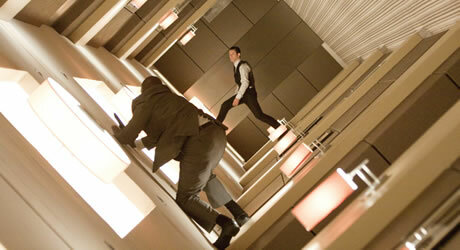 Inception’s action sequences beg comparison to everything from James Bond, Jason Bourne, and Mission: Impossible. Its creative fight sequences, taking place in virtual arenas in which the laws of time and gravity are fluid, recall The Matrix. But the true narrative and structural template is much more along the lines of long-con tale much loved by David Mamet (particularly Homicide and Redbelt) and heist films Rififi, Thief, and Heat, in which a crack team of criminal experts work with a psychologically damaged leader on a high-stakes One Last Job. The bloodless massacre of hordes of armed thugs seems designed to resemble video games. The obliquely portrayed violence is partly explained by a PG-13 rating that hypocritically permits dozens of onscreen shootings, but disallows blood, and thus any sense of the repercussions and ramifications of violence. But in the world of the film, the thugs are explained to be manifestations of the subconscious. A slight-of-hand morality magic trick that makes it OK for our heroes to mow them down with machine guns and grenades (again, this flashes back to The Matrix, in which the good guys rationalize away their mass killing of virtual avatars). Inception had already developed a reputation as a mind-bender even before release, but I found it to be surprisingly straightforward if you pay a little bit of attention. If you choose to take the film at face value, pretty much everything you need to know is spelled out for you, often in frankly literal exposition (usually in exchanges with Ellen Page’s inquisitive character). The key ambiguity is a simple but profound question raised in its final moments. Interpreted one way, the film neatly wraps itself up in an airtight box (which is extraordinary in and of itself, when most big-budget movies often fail to make logical sense). Interpreted another way, it calls into question everything you’ve seen. This moment hinges on Cobb’s totem, a personal item that each dream-traveller must rely upon to detect whether or not they are awake. 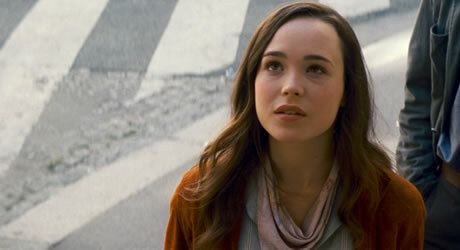 Both Cobb and Arthur (Joseph Gordon-Levitt) warn Ariadne (Ellen Page) to never allow anyone else to touch hers. But Cobb also freely admits that his totem first belonged to his wife Mol (Marion Cotillard). Complicating matters, unless I missed something, we never see her with it outside of the dream world. The top had symbolic meaning to Mol, for she locked it up in a metaphorical safe in her dreams. Cobb then uses it to plant the notion in her head that the dream world is not real, in order to encourage her to break her addiction and wake up with him. If the top was real, would she not be able to test herself with it when she woke up? One further clue that suggests much of what we saw may be Cobb’s dream: if he and Mol lived the equivalent of 50 years in Limbo, several levels deep into their subconscious, why do they seem to only wake up through one level of dreaming? Is Cobb still trapped a few levels down? And one wonders about the implausible dream technology itself. It’s offhandedly said to have been developed by the military for training purposes, but very little time is spent on the mechanics of the technology. Some sort of IV is involved in the process of linking people together, but how exactly does an Architect create and realize the world? We see Ariadne fiddle with papier-mache models, and verbally describe the world to the participants, but we’re also told that the architect need not necessarily enter the dream personally, so it’s not her mental map that makes things possible. If the agents are able to conjure things on the fly (Eames produces a grenade launcher out of thin air, and Ariadne folds a city in half), why do they not take more advantage of their effectively unlimited abilities during the heist? Cobb makes a big deal out of a prospective architect being able to devise labyrinths, something like a video game level designer. But Ariadne’s work is literally short-circuited and we never see a dramatic payoff to the theme of mazes. Ray Bradbury once said that he was not concerned with the mechanics of interstellar travel; if a story he wished to tell required a rocket ship to ferry characters to another world, that was good enough for him. So is it pedestrian of me to wonder about these practicalities, or do these questions actually matter a great deal? Is the lack of specificity about how this miraculous technology actually works a clue? I believe it is linked to the troubling ambiguity of Cobb’s desire to “go home.” Does he simply want to clear his name so he can re-enter his home country, or does he want to plunge deeper into his fantasy? Is he actually guilty of a crime like Roman Polanski, or merely obsessed with indirect culpability like Kelvin in Solaris or Teddy in Shutter Island? Either way, he may have the opportunity to construct a false reality in which he can absolve himself. I believe Inception is one for the ages, and not just because it has been endorsed by Al Gore. Like 2001: A Space Odyssey and Blade Runner, it’s the rare science fiction film likely to remain well-regarded for years. How many heist movies have you seen in which the master thief attempts the mythical One Last Job before retiring? Despite Leonardo DiCaprio sporting Nolan’s own haircut, Inception might suffer in comparison to his somewhat similar character in his most recent film, Shutter Island. Two thrillers in a row about a man wracked with guilt over his dead spouse. Wikipedia puts the budget at $160 million, plus a $100 million publicity campaign. As usual, these numbers make my head spin. But at least this time the result is a strong movie. Like Paul Thomas Anderson, Nolan has developed his own personal actors’ troupe. 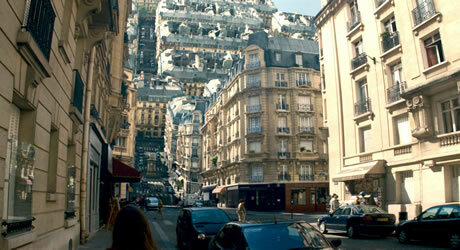 Inception features return appearances by Michael Caine, Ken Watanabe, Cillian Murphy. I didn’t really like The Dark Knight, it was way too dark for me (why so serious indeed) but Batman Begins was quite good. At least two of Christopher Nolan’s movies are on my absolute favourites list, The Prestige and of course, Inception. One guy I used to know said he didn’t ‘get’ Nolan’s movies and found Inception ‘boring’! Needless to say I don’t ‘know’ him anymore. Saw it last night, thought it was very good, very well done. Marion Cotillard is stunningly fantastic, and the rest of the cast is pretty good too. The only thing I’d say is that everyone is very intense and serious, perhaps too much so at times. I mean, even if you’re doing King Lear, you have to find the levity. Damn good film, I’ll probably see it again. It’s nice to have a film that’s intelligently fun after everything else this summer.